Journey to the otherworldly land of mystical Japan, where oni aren’t the only legendary creatures that actually exist. To save their world, these mythical beings will work together to fight the Kamikui and their evil influence before the dark beings’ miasma covers the land. With eight extremely unique and determined party members, the quest to dispel a great evil will certainly never be boring! 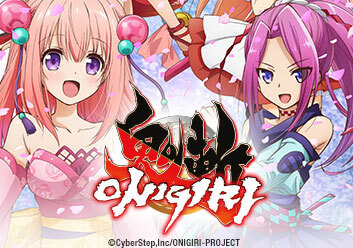 This is the story the girls who fight the evil Kamigui... or is it? The adventure begins when Shizuka Gozen and Yoshitsune are separated from the others after a fierce battle! Shizuka and Yoshitsune approach the village of Chikuhou where they meet the high spirited Ibaraki-Doji. Amaterasu finds herself fighting against a kamikui that may be too big for her to handle! Meanwhile, Yoshitsune and Shizuka Gozen enjoy Hakata ramen? The girls recover while three mysterious figures lie in wait to target Shizuka Gozen. However, they won't be mysterious for very long. As they stand against the Kamikui, Jin and Sakura remember their whirlwind romance. The girls trek to a convenience store, only to discover that Kaguya is obsessed with a particular game of chance. The girls are close to finding the kamikui that defeated them, but they get a little sidetracked. Shizuka Gozen, Yoshistune, Amaterasu and the others have suddenly gone chibi, but this little problem might be a big opportunity as they get scouted to become idols. Not all kamikui are angry god eaters. Some, namely the sisters Gako and Gagomi, rather prefer udon! However, kamikui killers arrive on scene and tear the two apart. Despite Gako's amnesia, Shizuka Gozen immediately befriends her, but what happens when Gako's buried memories begin to stir? Shizuka Gozen pleads with Gako to end their fight, but Gako refuses to back down. However, something much bigger and more dangerous looms overhead. With the giant kamikui attacking, the girls have no choice but to fight with all they have! Can the humanoid armor Benkei help them save the world? The girls are called forward to take responsibility for going overboard, only for the kamikui to revive even stronger!